Digitimes is reporting today that they expect Google to release an Android-powered laptop or netbook some time this year. Their sources are sketchy, and in fact there's little more to this than Digitimes' own prediction (no "industry sources" this time), so there's really not much worth saying about this rumor. But the idea was interesting enough that I took a few minutes today to play with the idea. It turns out that this idea wasn't as crazy as I first thought. Digitimes points to the fact that Google has (or rather Google's partners have) been making Chromebooks since early 2011 as evidence for their prediction. Considering the fact that Chromebooks have been having lackluster sales, I'm not so sure it's a good argument. And given that there already are numerous Android netbooks on the market, including a dozen models from Asus and others, there's really not much need for Google to release yet another competing device. In fact, I almost deleted this post and passed on the story until I remembered something that changed my mind. Google has a $1300 Chromebook on the market. After letting partners build Chromebooks for nearly 2 years, Google released their own. The Google Pixel has a Retina Quality display, workhorse specs, optional LTE, and a price in the stratosphere. Did you ever wonder why Google released such as expensive device? I suspect that Google wasn't satisfied with the existing Chromebooks put out by partners. They are rather low-end beasts, most running on a dual-core Celeron CPU, and all are cheap (the most expensive is $449). The specs limit the Chromebooks to the bottom of the market, mainly academic, budget, and kid's devices, and in fact are so inexpensive that you can buy 6 of the cheapest model Chromebook for less than the price of a Google Pixel. And that is my guess as to why Google released the Pixel. That laptop has specs that aren't quite cutting edge but it is significantly more powerful than any other Chromebook. I think the Pixel is the Chromebook that Google wanted their partners to make, and when they didn't Google had to go it alone. 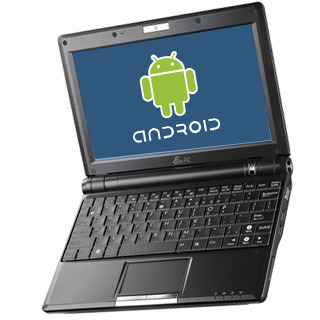 If you apply that idea to Android tablets then you might see why Google could release something like the Androidbook. What if Google had always wanted a partner to make a $1000 android-powered laptop, and finally decided to make it on their own? That's really not such a crazy idea, IMO. I still don't know that it is correct but at the very least it is plausible. I don’t know. I’d have thought ASUS would have been happy to make a “Nexus Transformer” and Samsung would have been willing to add a good keyboard dock to the Nexus 10. If this is happening, my best guess is that it is a way to experiment with Android/ChromeOS convergence and that’s why Google couldn’t leave it to a partner. If they do this, it will be interesting to see if they release an ARM version and x86 version ir both.